Hi, I’m Luke Stocks and I am 14 and shoot Recurve at Danum Archers in Doncaster. I started archery in 2011 when my grandparents bought me a garden bow for Christmas. I found a local club, Bircotes Junior Archers, where I completed a beginners course and was instantly hooked. 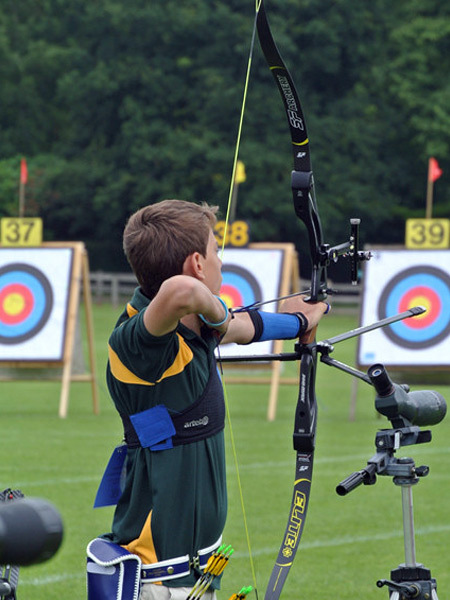 By 2012 I had been chosen for the Nottinghamshire County Team who I represented twice, later earning a place on the East Midland Archery Society squad. Following my move to Danum Archers I have moved into the Yorkshire Region and selected to represent Yorkshire in the county team. I have gained my Master Bowman in 2014, but by far my greatest achievement to date is being selected for the Archery GB Performance Academy after completing the talent program. I have just found out that I have been awarded a place for the second year running, something I am really proud of. I am passionate about Archery and my long term aim is to be part of the GB Archery Team.